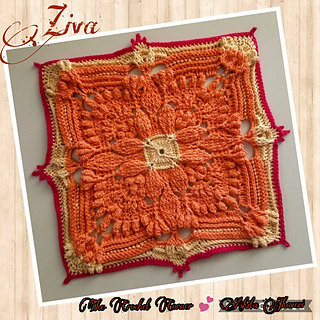 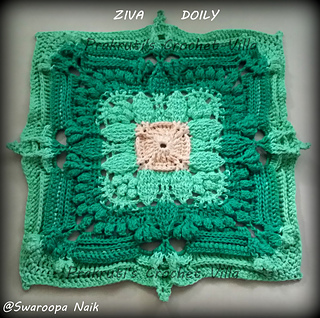 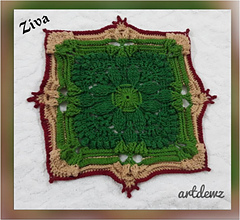 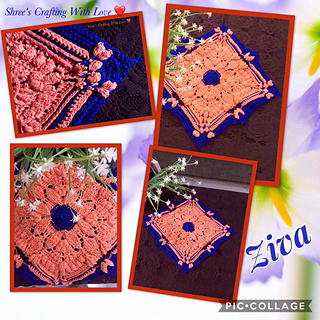 Ziva Doily is a square shaped textured doily using different types of stitches such as front post,back post , popcorn ,Herringbone & picot stitches . 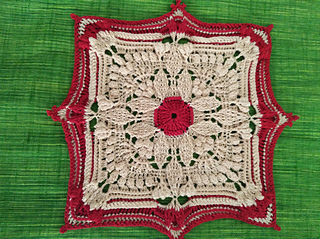 It can be made using any type of thread or yarn or nylon thread. 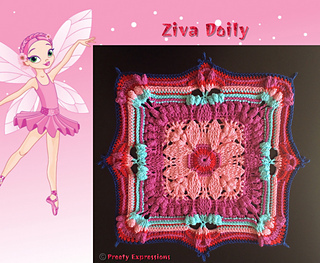 Ziva consists of 21 rounds . 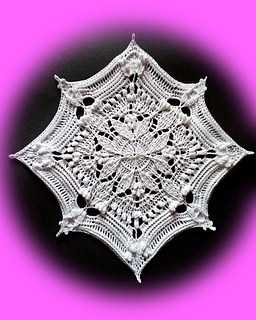 Terminology : English - U.S Terms -written Instructions . 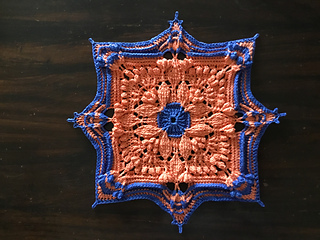 step -by-step pictures are available . 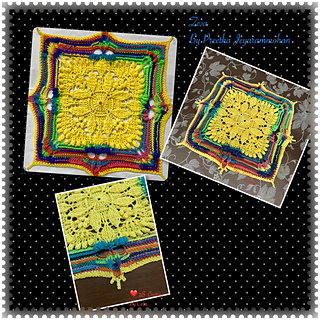 crochet symbol chart is not available. 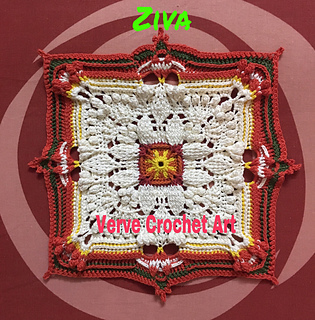 Thank you so much to all my pattern testers Sadhana siva,Swaroopa Naik,Ramalakshmi Pasumarthy,Prasita Prakash,Geetha Venkat , Olga Poltava , Jayashree Venkateshwaran,Celia Menezes, Ashita Jhaveri .